One of my many idiosyncratic beliefs is that Africa has a special role to play in God’s upside down kingdom. For so long, Africa has been last which according to Jesus’ words, means that the day is coming when they will be first. I suspect that we will be looking to them in order to understand God’s kingdom rather than assuming that it is our job as westerners to hand out the kingdom like a goody bag to the rest of the world. I bring this up because, as you might know, it is the 20th anniversary of the Rwandan genocide in which 1,000,000 people were killed in 100 days. It was a remarkable spasm of violence and hatred such as the world has never seen before. Truly unspeakable things happened during those 100 days. Rarely has humanity’s capacity for evil been put on such lurid display. One startling and fascinating thing about the Rwandan genocide is that in the early 80s, there were a series of Marian apparitions which took place in Rwanda. Three different youth were given horrific visions of the genocide which took place in 1994. The apparition of Mary in Rwanda is one of only three Marian apparitions which has been given approval by the Roman Catholic Church. 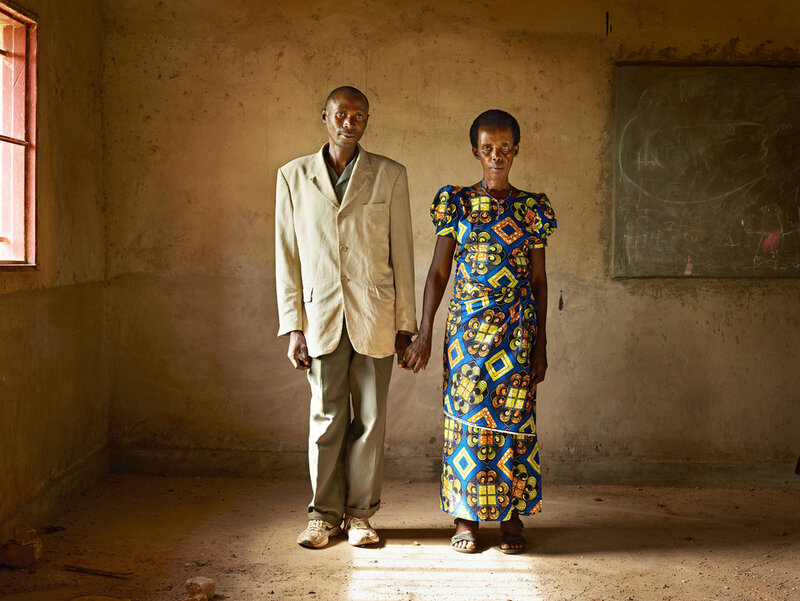 In one of her messages, Mary said, “Today, many people do not know any more how to ask forgiveness.” Now, on the anniversary of the Rwandan genocide, the people of Rwanda bring an astonishing testimony of forgiveness to the world. I hope that we will take their witness seriously and allow their example to inspire us to seek forgiveness from those we have wronged and to forgive those who have wronged us. The witness of the Rwandan people shows us that whether we are dealing with conflicts between neighbors or between nations or groups, the seeking and giving of forgiveness are the only way forward for humanity. I returned as soon as the killing had stopped and went straight to my village. The survivors didn’t know how my mother or siblings had been killed but they said, “Your father was killed by Vincent, your best friend, your father’s friend.” . . . The shock was so great that I started drinking and taking drugs to forget. I wanted to take revenge. I wanted to kill Vincent. But I couldn’t find him, and so I started killing myself. . .
All the time some of my friends were praying for me because they knew I was going to die. Then, one day, this miracle happened. In the midst of all this hell, I suddenly felt a strange peace in my heart. I took a bible and I went to a prayer-mountain, and spent three months away from everyone just to discover God’s healing. During this retreat I heard a voice telling me that even if you become a Christian it’s not enough, you need to forgive the man who killed your father because you cannot love again if you still have hatred in your heart. And that voice was telling me forgiveness is for you not for the offender. Of course it took time to accept that message, but in the end I had no choice and one day I said YES! I’m ready to forgive. On that day I suddenly felt totally free. I felt a power that I cannot describe. One thing which comes up over and over in reading these stories is that forgiveness is not something we do because we’re supposed to or because it’s good and holy. It’s something we do because we have to. It’s the only way forward after something awful has been done to us. As Martin Luther King Jr. said, “I have decided to stick with love. Hate is too great a burden to bear.” Anger and hatred require a great deal of energy to sustain. When we hang onto them rather than choosing to forgive, that is when what has happened to us destroys us. At any rate, I hope you will say a prayer for the people of Rwanda today. And I hope you will allow their witness to challenge you to forgive any harm done to you which you have been hanging onto. Genocide is unforgiveable. Even the good Lord knows that. Just because you’re shown people holding hands on TV that doesn’t mean all is forgiven. The REAL culprits of this massacre go unpunished. Just as they did in Indonesia, Syria, Sri Lanka, and plenty of other African Countries. If lessons were learnt, then we can hold hands and forgiven. We’re seeing the same profitable murderous process in the Ukraine, Venezula, CAR, Nigeria, Sudan, Egypt…the list goes on. We have all the right to tell people the truth. And that is your experience was calculated. Pre-planned and orchestrated by the psychopaths that run the world. Labelling it forgiveable is what enables these atrocities to continue. Nothings Changed. God hasn’t helped. The problem is that forgiveness has NOTHING to do with not holding people accountable for their actions. In fact, most of the perpetrators in the stories I read about Rwanda mention having spent time in prison. And it certainly doesn’t preclude going after the people who orchestrated the whole thing. I can forgive but still recognize that some people are dangerous and have forfeited their right to freedom. Forgiveness also has NOTHING to do minimizing the evil of what has occured. In fact, if you don’t face the reality of what has happened, you cannot actually forgive it. You will forgive some small portion of what happened while leaving the rest undealt with. Finally, it’s simply false to claim that forgiveness is behind ongoing atrocities. You cannot find one example of forgiveness leading to more bad behavior. What does lead to ongoing atrocities is a cycle of revenge and retribution. People don’t do terrible things because they think they are forgiveable. They do terrible things because they think they are justified by revenge, selfprotection, a right to power or greed to engage in atrocities. Forgiveness, as hard as it is, is one of the only ways we have for moving past these cycles of self justified violence. Forgiveness requires that we face the evil done and chose to move beyond the harm done into freedom. Even more relevant for most of us is that at the individual level, forgiveness is the only real tool available to us for finding freedom from the evil done to you. It is an unspeakable cruelty to demand that a person be bound to the evil done to them by declaring the evil unforgivable. Why on earth would we want to do that to people who have already suffered so much? Are you really so selfish and cruel that you would tell one of these survivors who has found freedom and healing through forgiveness that they are wrong and that it’s because of people like them that such evil persists? I don’t think you would convince any of them of such nonsense, but still! The real perpetrators, as in those who funded the genocide, and provided weapons, instilled hate and political division are living wealthy off the profits from Rwanada and many other African nations. Just because they lock up a few black faces, that doesn’t mean the problem is solved. If you’re right, and these people have let go, then nothing has been learned and forgiving hasn’t helped in reality because things are still bad. 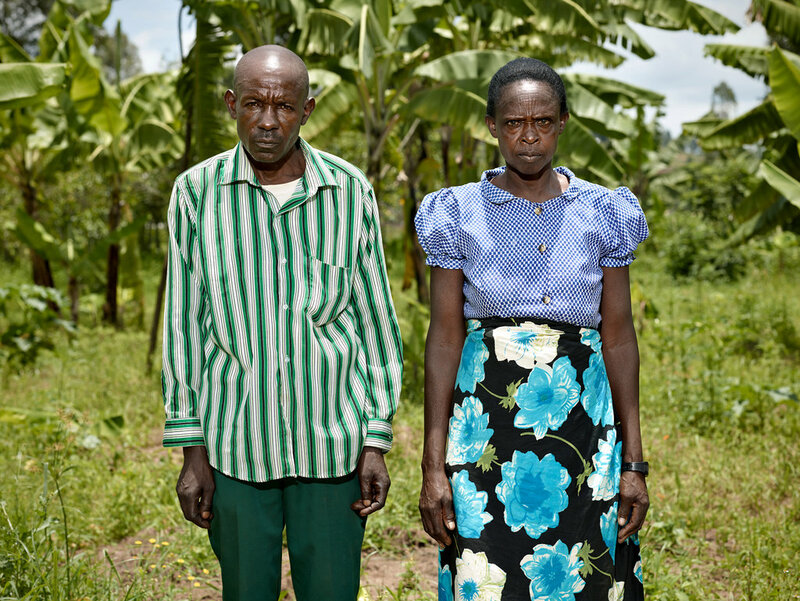 There is still starvation, disease, civil war and mass poverty in Rwanda today. So what has forgiveness brought these people apart from a false sense of hope. They have not found any freedom so far. Are you so blinded by the fallacies of the media and your beliefs that you can’t accept the truth. Forgiveness does not ease suffering in reality. I have spoken to many people from Rwanda, Uganda and Congo, I have visited friends in Kenya and South Africa, nothing has changed madam. People are still feeling the pain of these atrocities as it happened in 1994, which is quite recent. Black people aren’t over slavery, Jewish people aren’t over the holocaust, the world is still affected by what happened in both World Wars today. I don’t believe forgiveness is behind any evil. That doesn’t make sense. I am saying, forgiveness hasn’t help give these people back what was taken from them.I am African my love. No matter what you think, our people are not free, and we still suffer. When the evil has stopped. When the people who were really behind the evil have been put to justice. THEN, and only then will there be a place for forgiveness. I am not in the practice of trying to convince anyone of anything but I do live the truth. Forgiveness is a farce if justice has not prevailed. And I guess you are in the practice of believing what you are told, so I’m not suprised you believe what you see on your TV or read in your newspapers, but thats only one side. There are more sides to the truth than you know. Thats reality, not fantasy.